Recently I've developed a love for Asian horror stories and movies. So when I found The Girl from the Well on NetGalley which is based on the Japanese ghost legend of Okiku I was very happy. The legend varies a bit but in each version poor Okiku ends up dead in a well, having been murdered. 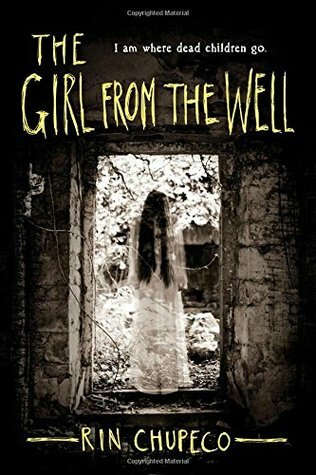 The Girl from the Well takes place over 300 years after her death as she roams around the world killing those that have taken the lives of children and boy is it gruesome when she gets to work. Even with those scenes you can't help but come to love Okiku and understand how her spirit could end up that way and after she finds Tarquin you get to see the other side of her, more of what her human side was. Overall, I really loved The Girl from the Well. It was both scary and beautiful and part of the book was spent in Japan which was interesting. Chupeco's writing kept me glued to my e-reader and I'm excited to find out what happens in the next book. So if you enjoy a creepy ghost story or legend then you should check this one out! A little late to say now that you've read it. xD It wasn't really all that scary to me.